Dreading Thanksgiving this year? Me too. If you are the host (or can influence the host) establish ground rules, such as, "There will be no political talk today! Let's focus on being thankful and being a family who loves each other." Your relatives may be as happy to not talk about politics as you are. Put a family parliamentarian in charge to maintain order: "Out of order! Grandpa, that's political talk. Instead, tell us how you met Grandma." Simply don't bring up anything politically-related. Have a ready supply of other subjects to discuss instead, such as, "How about those Cubs? They pulled it off! ", or "I have a broken [INSERT ITEM HERE]. Do you know of anybody who fixes them?" If the designated "pray-er" makes the communal prayer political, choose to pray your own prayer silently. And pray ahead of time for your family members and their individual needs so that you will have a softer heart for those who disagree with you. Also pray that you will have the wisdom, patience and strength to not argue with them. Ignore them -- Focus on the food, play with a toddler, watch a football game on TV, clear the table, do the dishes, take a walk, or have a side conversation with someone who also doesn't want to argue about politics. If something that is said that really annoys you, count to 10 silently to lessen your anger. Play games -- My family likes to play badminton on nice days (un-scored and any number of people can play on either side of the net), or "Heads Up" when it's too cold or rainy to play outside. Research and prepare for group games before hand. "Is that a new blouse?" "I love your hair. 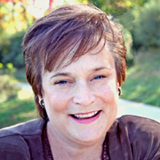 Are you getting it cut someplace new?" "These mashed potatoes are so creamy." (one of the funniest lines from the movie "While You Were Sleeping". Keep repeating the line until others notice. "What teams are playing today? Let's watch!" "I love what you've done with your new decor! Who was your decorator?" "Have you lost weight? How did you do it?" "Did you see last night's episode of [SOME COMEDY UNRELATED TO POLITICS]? "Will you look at that squirrel? That's some gray squirrel!" "Is that an elusive [MADE-UP BIRD NAME]. "Quick get the binoculars!" And if all else fails, say, "We agree on so many things; let's agree to disagree on politics and go grab some pie! or, "Let's fight it out over a game of checkers!" 4) Focus on the positive and good memories. Have each family member share memories about a particular topic or person, or about what they are thankful for. Play "Two Truths and a Lie" or "Would You Rather?" to learn things about each other that you never knew. 5) Forgive and move on. If a political fight breaks out with an individual, quell the argument quickly. Say, "I'm sorry, [NAME]. I swore I wouldn't argue about this. You have a right to your opinion and I have a right to mine. I love you and I don't want to fight. Let's go join the group." If a whole group is on your case about your political views, say, "You are not going to change my mind and I'm not going to change yours, so please, let's talk about something else, or I will have to leave." If all else fails, leave graciously. Say, "It looks like we all are passionate on the topic and I'm not on the same page with you. Rather than argue, which solves nothing, I will leave. I love you and hope that we can get together soon without arguing because you are dear to me." If you really feel that you can't attend, opt out early and graciously. I'm so stressed about potential Thanksgiving conflicts, I contemplated leaving a note on my mom's doorstep early that morning with the items that I promised to bring reading, "I'm so sorry, but I can't come. I love you all and will see you at Christmas." But, this approach would not be fair to those who prepared enough food for my immediate family to attend. Instead, opt out NOW and be kind. Say, "We were so looking forward to seeing you, but we cannot come. I love you and will see you at [Christmas/Hanukkah]." If pressed, just say, "It just doesn't work for us to come, but I love you and will see you soon." Seek to have a happy Thanksgiving. Focus on the things that you can agree on -- family, faith, good memories, great food, and your love for one another. Be thankful that you have loved ones who you can fight with, forgive, and still love ... no matter how much you disagree with their politics. Seeking a new job in the new year? Start now! 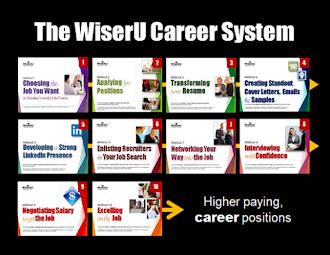 WiserU not only provides the proven WiserU Career System, the web-based way to learn precisely how to land a meaningful, well-paying job, we also offer comprehensive LinkedIn profile and resume creation/optimization services, career coaching, and interview preparation services. Contact us at 847-606-5160 or info@wiseru.com, or visit http://wiseru.com/services/ to get started.